Cloud-to-ground lightning strikes over Norman, Oklahoma. Image courtesy of the NOAA Photo Library, NOAA Central Library; OAR/ERL/National Severe Storms Laboratory (NSSL). It was a dark and stormy night and atmospheric scientists were hard at work. As the storm raged, they kept their eyes fixed on their instruments, which buzzed away, collecting data to help us better understand these storms. The colossal convective systems that roam across the Great Plains on summer nights can extend over a 100,000 square kilometers area, covering entire states in rainfall and other severe weather. These gigantic storms also impact weather in Europe or the Arctic. But we can’t predict when and where these storms will strike. So then it’s even harder to know how they will affect weather in the rest of the world. To better predict these systems, researchers have mostly tracked storms with radars and aircraft. In the summer of 2015, the Plains Elevated Convection At Night experiment , or PECAN, systematically followed storms overnight using a fleet of aircraft and ground-based sensors. A National Science Foundation-led project, this multi-agency and multi-institution campaign included equipment from the Atmospheric Radiation Measurement (ARM) Facility, a U.S. Department of Energy scientific user facility. In April 2017, researchers published a summary of the field campaign in the Bulletin of the American Meteorological Society. One of the ARM Facility’s Atmospheric Emitted Radiance Interferometers (front right) and a water vapor lidar from NCAR (back) are set up with a stationary site near Ellis, Kansas. Image courtesy of Dave Turner, NOAA. PECAN intended to determine where these nocturnal storms come from and how they are maintained. Daytime thunderstorms are linked primarily to solar heating of the ground surface. But there are a few possible explanations for nighttime storms, including bores—cool pockets of air that bellow out in front of a storm—and low-level jets. So the team tracked storm initiation, low-level jets, bores, and storm evolution. All these studies meant following the storms overnight. To study storms, the team used an unprecedented network of observation systems. 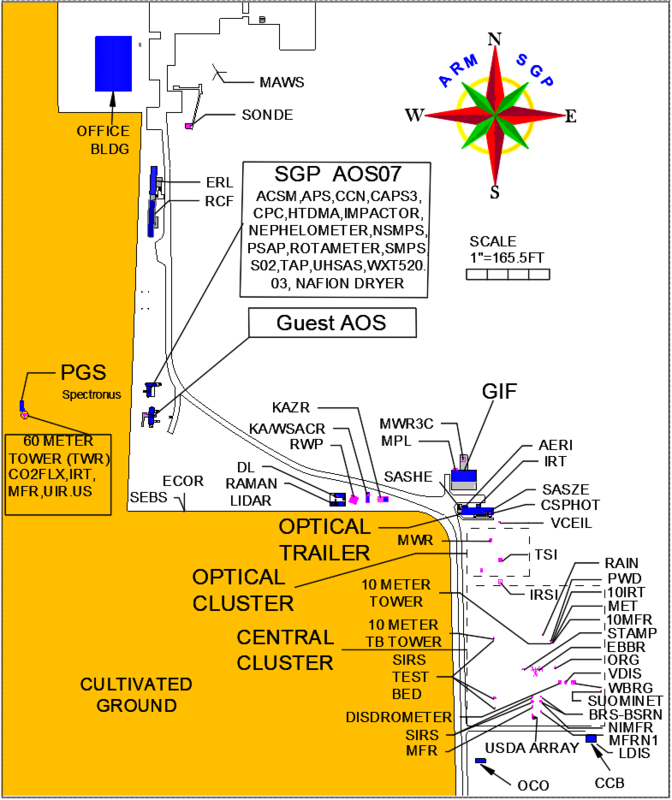 They had six stationary sites, including ARM’s Southern Great Plains (SGP) atmospheric observatory operated by Argonne National Laboratory. These sites were spread out across Kansas, Oklahoma, and Nebraska. All were equipped with a wide array of sensing systems, including Atmospheric Emitted Radiance Interferometers (AERIs) from ARM to ensure consistent measurements of humidity and temperature between sites. The team also had four mobile units and three aircraft—from the National Oceanic and Atmospheric Administration (NOAA), the University of Wyoming, and the National Aeronautics and Space Administration (NASA)—tasked with following storms from the ground and air. Graduate students launch a radiosonde for a mobile unit during the field campaign known as PECAN. Image courtesy of Dave Turner, NOAA. Between June 1 and July 15, 2015, the researchers tracked 31 storms. The mobile ground units traveled as far north as North Dakota and south into northern Texas to capture storms that the stationary units couldn’t see. “We put nearly 8,000 miles on our vehicle in a six-week period,” says co-author Dave Turner, who was associated with one of the mobile units. An atmospheric physicist from NOAA, Turner is the lead scientist of the ARM-supported component of PECAN and a principal investigator for the DOE Atmospheric System Research program. Now that all the measurements are in, it’s time for analysis. With this kind of project, it takes up to seven years to see a peak number of papers. But now, two years after the study, Turner has seen around 10 papers routing through the review process or published. Soon we will be able to better predict and understand these massive storm systems. The ARM Climate Research Facility is a DOE Office of Science user facility. The ARM Facility is operated by nine DOE national laboratories, including Argonne National Laboratory.